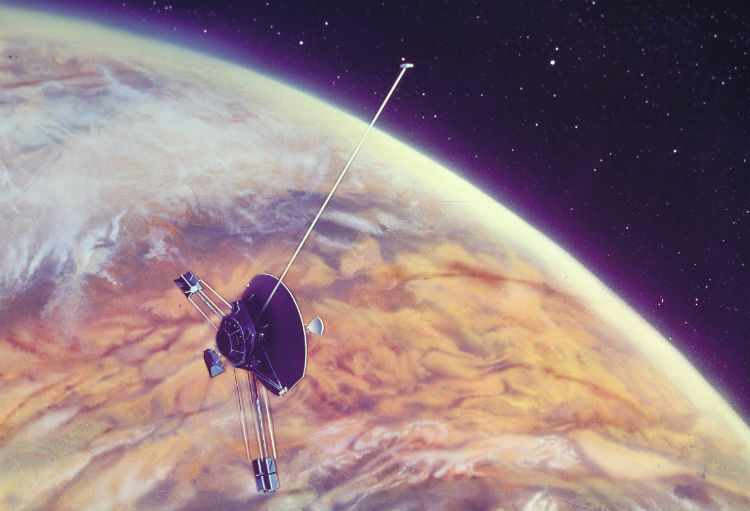 If Intelligent Aliens Exist, Where Are all of Their Space Probes? Human beings may never achieve the level of rapid interstellar spaceflight portrayed in Star Trek. We may never achieve faster-than-light travel at all. We may remain forever limited to speeds that make traveling between stars take hundreds or thousands of years—and that's if we can figure out a way to build a spacecraft capable of traveling at 0.1% to 1% the speed of light. This obviously precludes sending astronauts to other stars as the most viable method of space exploration. Instead, we may opt to send hordes of self-replicating robotic probes to explore the entire galaxy in our stead. Probes that can build additional copies of themselves as they spread further and further away from Earth, thus automating the task of mapping the entire cosmos. A lone space probe out explorin' the cosmos, as space probes do. Image: NASA. Any intelligent alien civilizations that exist in our galaxy may do something similar—or perhaps they already have. Mathematicians have estimated that it would take anywhere from between half a million to ten million years for a technological civilization to explore our entire Milky Way Galaxy using these self-replicating probes, even without significant advances in spacecraft propulsion. 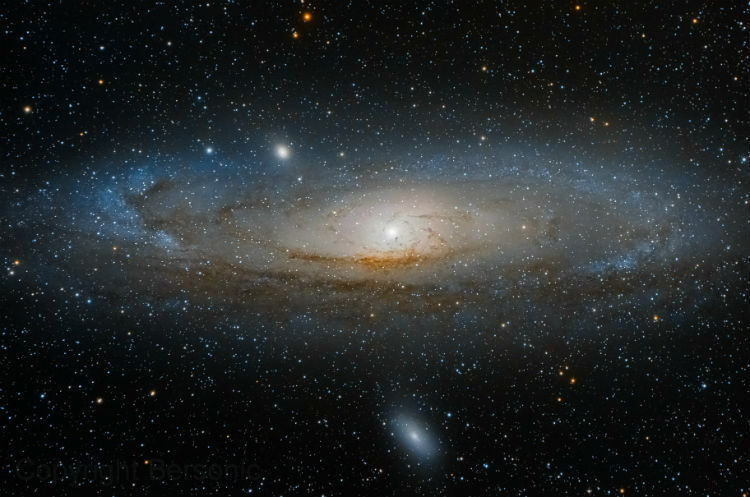 While even a million years is a long time to us, it's very short in cosmological terms. In the time it took to get from dinosaur poop to kitty litter boxes (about 65 million years, give or take), our galaxy could have been explored many times over by many different alien civilizations, who may or may not have even existed simultaneously. And as for the question of whether or not these aliens and their self-replicating probes might exist today, we could find an answer by scouring our solar system in search of these or any other type of interstellar probe from out there. We live in a vast galaxy of up to 400 billion stars. What are the chances we're alone? Image: Bruno Gilli/European Southern Observatory. Before any humans left Earth, we sent robots. Before humans landed on the Moon, we landed robots on the Moon. Before we had humans living and working in Low-Earth Orbit, we had robotic satellites living and working in all sorts of orbital configurations (still do!). Sending humans to space is a grueling ordeal. Extreme isolation, vast distances, cramped living environments, mind-boggling logistics, and an abundance of health risks—using human beings to explore the cosmos is a tall order. Plus, any human-rated spacecraft needs to be thoroughly over-designed and over-engineered for safety, possessing redundant systems (backups for backups) and life support that won't—or can't—fail. Complexity increases, weight increases, and costs skyrocket. There's a reason why humans haven't ventured beyond Low-Earth Orbit for four decades, and it has a lot to do with money. As technology has advanced, it's become far more cost-effective to send robotic probes out to explore the cosmos in place of human beings. This accounts for the herd of robo-geologists, both deceased and still roving, on Mars today. Sending a robot costs a fraction of what sending a human being would cost, and it avoids the complexity that would be required to accommodate the lofty needs of human explorers. Apollo astronauts chillin' outside their command module. Image: NASA. I'm not saying that human spaceflight is a waste of money or that we should only send robots everywhere. I'm simply making the observation that we always send robots to explore first. And it should go without saying that our robotic ambassadors will have explored all of the nearby star systems long before human beings ever step foot there. It's just economics 101. This may also be the case with any alien civilizations that may co-inhabit the galaxy alongside us. And if that is the case, then where are all of their probes? We've used deep-space probes to explore nearly every corner of our solar system. They've visited all the planets; NASA's Dawn probe is orbiting the dwarf-planet/asteroid Ceres as we speak, ESA's Rosetta just landed on a comet, and New Horizons flew past Pluto just over a year ago. It probably seems to the Universe that, apart from releasing inordinate amounts of CO2 into our atmosphere, our second-favorite thing to do as a species is launch robots to go explore other worlds. But there's a better way to explore. Rather than launch a new probe every time we want to go explore a new location, we build a probe that's able to build other probes identical to itself. 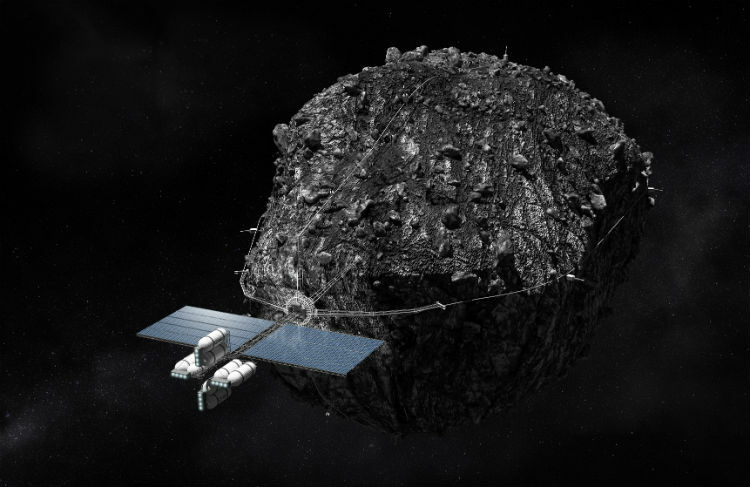 Dawn could use raw materials available in the asteroid belt to build copies of itself, and all of those copies could be used to explore even more of the asteroid belt (and build even more copies!). Or New Horizons could use materials from a small icy body in the Kuiper Belt to create copies of itself that could then be used to further explore the Kuiper Belt—and beyond. We've been to Pluto, but where to next? Image: Jacob Bers (Bersonic). The concept for a self-replicating machine was first introduced by John von Neumann, a 20th Century physicist/polymath who studied the possibility of building what he referred to as Universal Assemblers in the not-so-distant future. This concept was later applied to space exploration technology, leading to the idea for what is now known famously as a von Neumann Probe. The basic premise is this: a von Neumann Probe would be sent out to another star system with the mission of finding the raw materials it needs to build a copy of itself. An ideal location would be someplace like an asteroid or small moon—some sort of terrestrial body loaded with metallic elements that are easily accessible due to exposed surface materials and low gravity. Once such a place had been found, the probe would get to work creating an exact replica of itself—sort of like an autonomous 3D-printer in space. Once the replica von Neumann Probe had been completed, both probes would then go in search of another location at which to self-replicate again, only this time there would be two probes creating two separate replicas. After the two new probes had been completed, the count of von Neumann Probes would be brought to four. Things get wacky from there. Four quickly becomes eight, eight becomes sixteen, sixteen becomes thirty-two, and so on. 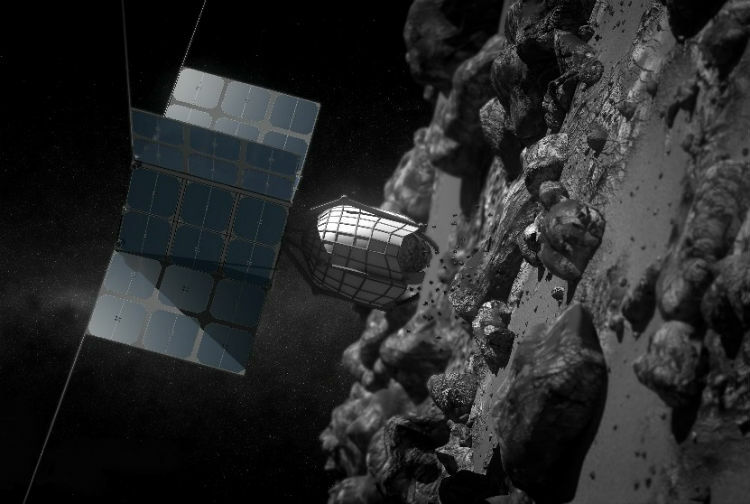 A space probe mining an asteroid, ready to take over the cosmos. Image: Deep Space Industries. Just 20 generations after the initial von Neumann Probe arrived in its new star system, there would be over one million von Neumann Probes in existence. Just 20 more generations after that, there would be over one trillion—assuming there were enough raw materials available so that that their replication could continue unabated. Programming would be really important. Presumably, these probes would be directed to remain below a certain density (ie. a few dozen probes per star system) and to traverse interstellar distances in search of new star systems and additional raw materials. They would be able to repeat the replication process ad infinitum until they ran out of new star systems, at which point they would have explored the entire galaxy. Having an upper limit on probe density would prevent them from over-populating, lest they start cannibalizing one another for parts to build additional probes. Ideally they would want to talk to one another as well, and having a galaxy full of von Neumann Probes doubling as networking hubs would essentially create a galaxy-wide internet of probes. This would allow for a constant stream of information to flow down through the von Neumann Probe network and into a central mainframe. Information about every star system in the galaxy—including information about any possible inhabitants (ie. us)—would be easily accessible to whomever controlled the von Neumann probe network. Such a civilization would literally hold the entire galaxy in the palm of its hand. Building trillions of self-replicators is going to require a lot of raw materials. Image: Deep Space Industries. Once these von Neumann Probes had expanded to every star system in the galaxy (again, mathematicians estimate this process would take less than 10 million years), they could be instructed to monitor every potentially habitable planet in the Milky Way. With this, an alien civilization employing self-replicating probes could wait for other intelligent civilizations to arise, using the network of probes as a way of making first contact (or perhaps even just monitoring their technological evolution before deciding whether or not to make contact). The implications of all this are profound. It seems logical to conclude that any intelligent aliens more advanced than ourselves would design such a network of self-replicating probes—the benefits to doing so would far outweigh the costs involved (especially considering that you'd only need to build one initial probe, after which the probe would do the rest of the work). So, I reiterate again, where are all of the probes? We're a rational species. We would rationally assume that, if there were an advanced self-replicating robot in our backyard, we would know about it, right? And if Optimus Prime landed in the middle of Siberia, we'd eventually find out about his arrival, right? So, if a technologically advanced super-probe of unknown origin drifted into our solar system, we would definitely detect it. Right? Highly unlikely, and here are a few reasons why: the Moon and Near-Earth Asteroids. NASA's Lunar Reconnaissance Orbiter has been in orbit around the Moon since 2009. It's mapped 98.6% of the Moon's surface (excluding the poles) to a resolution of 100 meters per pixel. It's also taken higher-resolution images of the old Apollo landing sites at a resolution of 0.5 meters per pixel. There it is! Image: NASA/GSFC/Arizona State University. 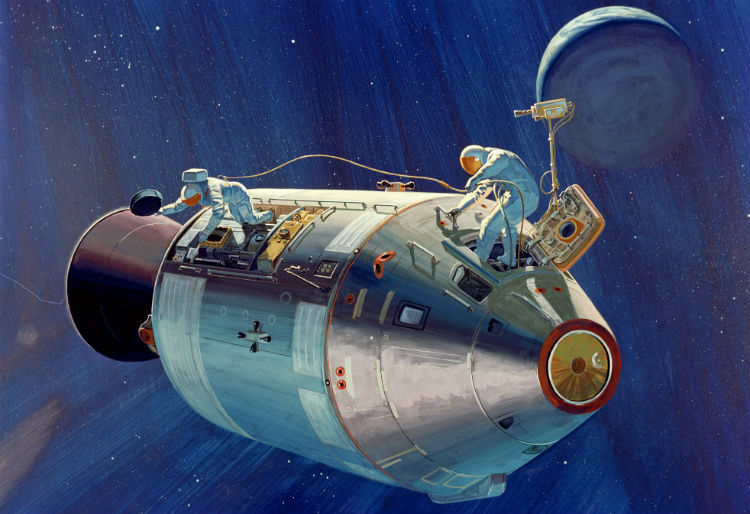 Even at this resolution, it's hard to make out the Apollo descent modules and left-behind hardware. And this is for a spacecraft that NASA already knows the location of and purposely tried to image. 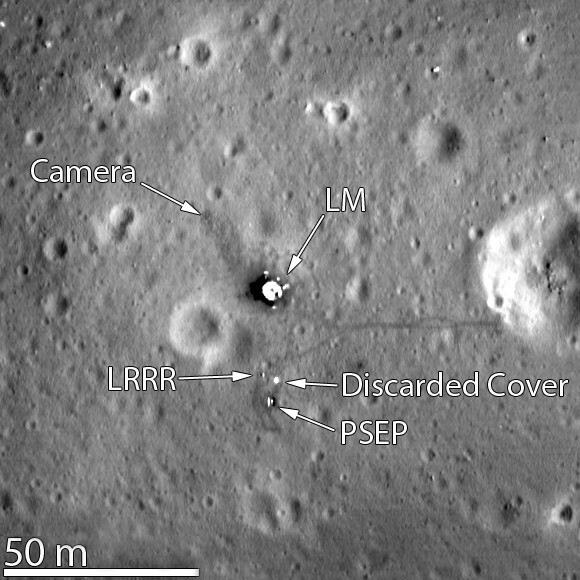 Regular LRO images show the lunar terrain at a resolution 200 times lower than what's shown above. At that image quality, it would be impossible to spot even a large von Neumann Probe many tens of meters in diameter. An alien self-replicator could be resting on the surface of the Moon right now staring at us and, with our current technological ability, there's a really slim chance we'd spot it. And this is assuming that the probe is motionless, and in plain sight. No von Neumann Probes to see here. Oh wait, what's that? Image: NASA. But it's not just the surface of the Moon that presents us with difficulties. We're also primitive in our ability to detect Near-Earth Asteroids. With a goal of finding 90% of all dangerous asteroids (defined as being greater than 100 meters in diameter) by the year 2020, NASA is lagging behind their goal—they've only found about 20–30% of these giant space rocks so far. There are still a huge number of Near-Earth Asteroids that have yet to be discovered and aren't being tracked. This doesn't exactly inspire confidence in our ability to detect objects flying through our solar system, even ones that are relatively close to Earth. A von Neumann Probe only a few dozen meters in diameter would be all but undetectable to our telescopes unless it purposely placed itself in a close orbit around Earth. Even then, we often can't identify whether or not the objects we do detect even are asteroids (for all we know, a bunch of them could be metallic self-replicating probes!). 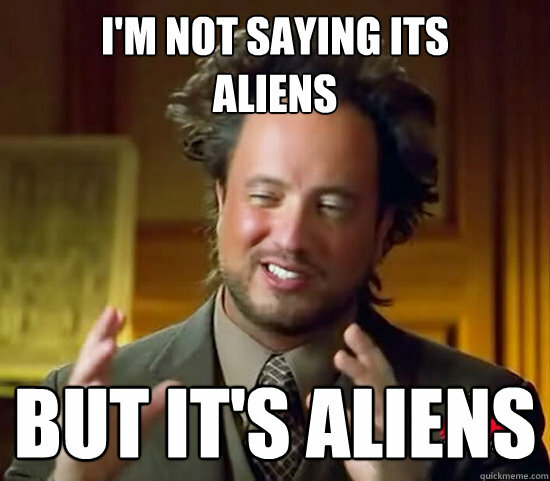 But all of this is assuming that these aliens even exist. Maybe we haven't seen an alien von Neumann Probe because there's no such thing. It may be that there's an army of alien von Neumann Probes inhabiting the Oort Cloud, the Kuiper Belt, and/or the Asteroid Belt at this very moment, preparing to invade and destroy us (sure, an alien civilization could be as xenophobic as we are). Or, they could be friendly aliens waiting for us to find and contact their robotic ambassador probes, a sort of cosmic intelligence test that we've yet to pass. The self-replicating probes approach an unsuspecting planet... Image: NASA. Which of the following scenarios would be more disconcerting? 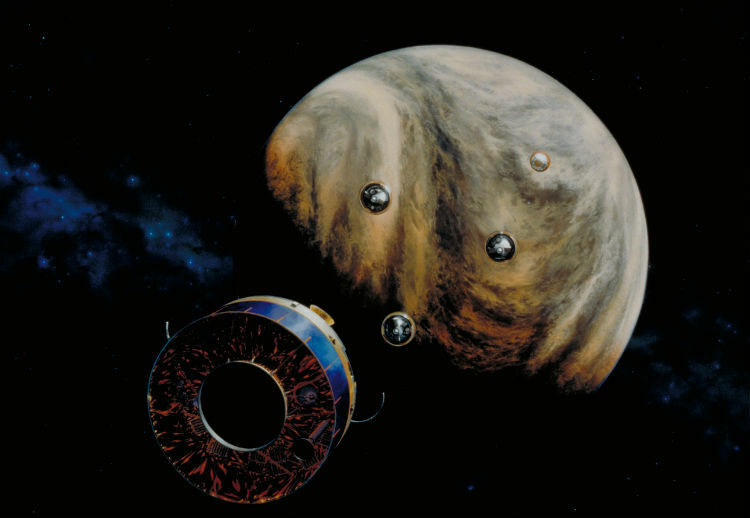 That that there are von Neumann Probes in our solar system and we're unable to detect them? Or that these probes don't exist at all, therefore implying that no advanced alien civilization exists either?